I've been studying electroacoustic composition for the past year. This Wednesday 2 September at 7pm, my fellow students and I will be premiering our Masters pieces. If you are interested in sampling today's newest and brightest composers, drop by the Performing Arts Centre (PAC), Lower Ground Floor, Foundation Building, University of Limerick. Prior to the concert, at 6pm in the CSIS Building, there will be a reception kicking off DAWN, a week-long display of student work from both the CCMCM and the Interactive Design Centre. There will be lots of demos and displays on hand; whether you're a tech geek or an artist you'll find something cool here! 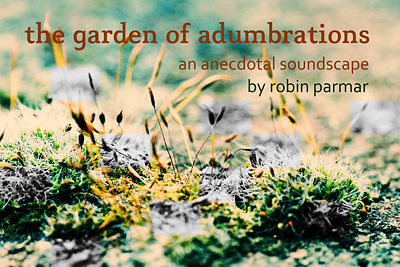 "The Garden of Adumbrations" is an electroacoustic composition for nine-channel playback that is made entirely of phonography from Limerick and area. Some sounds have been subject to musique concrète techniques while others have been presented plainly, in the manner of a soundscape. The result is an anecdotal experience that involves the listener in an unfolding sonic ecosystem, one that refutes the acousmatic stance that sounds should be divorced from context. It is a "shadowing forth", a sketch, a representation that admits to being nothing more than an imperfect portrayal of its own ongoing process, that is, the act of living in a world of connections, shadows, representations and challenges. Best of luck on the premiere of your thesis project, Robin. Let us know how it goes! The concert went very well! Each composer had a very different piece to present; I think the variety was inspiring and shows the range of electroacoustic music today. My own work got to close the concert, which was maybe appropriate as it was the only one to fully utilise the possibilities of spacialisation. This sounded awesome in the hall. Photos in the student life set.